Happy Anniversary PCR Environmental, Inc! It has been 18 years since Paul E.R. Packbier and James L. Canto acquired the Guam assets of Ogden Environmental and Energy Services Co., Inc. on May 23, 1996. The Ogden office was established in 1993, by Packbier, and both gentlemen prior to that worked at Unitek Environmental Consultants, also on Guam. Jim retired (again) in 2001, and Tara Perez-Steffy became majority owner at that point in time. “It has been an incredible experience and privilege working with the variety of clients, employees, and subcontractors we have,” according to Packbier. “The best is yet to come” adds Perez-Steffy. Both principals believe that the firm’s reputation has been built on Integrity, competence, and professionalism, with a keen insight into local sensitivities and issues. 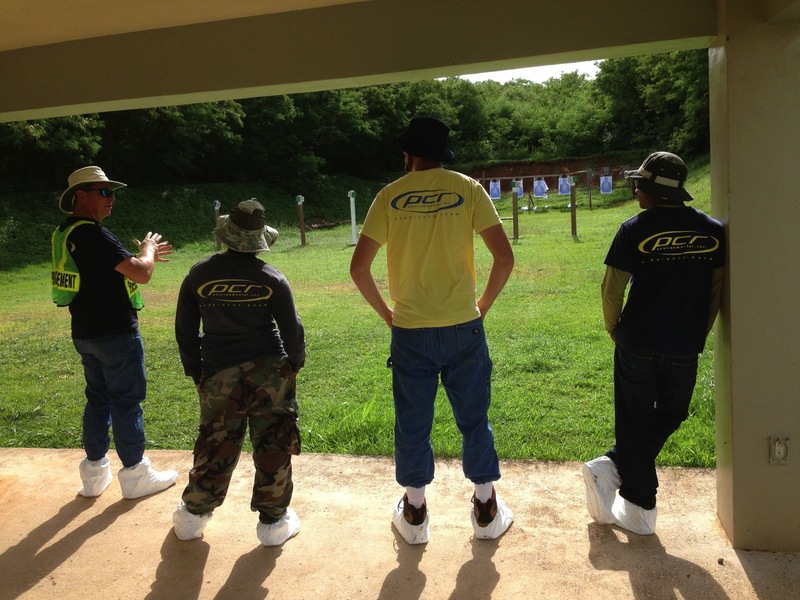 PCR has been awarded a Brownfields Assessment project to evaluate contaminated soils at the Guam Community College’s (GCC) Small Arms Firing Range. The project is funded by a grant from Guam EPA and has a very short timeline with a completion deadline of the close of the Fiscal Year, or 30 days from award. We’ve been collecting and generating weather data in Tamuning, Guam since March of 2005. The VantagePro Plus weather station is part of the Citizens Weather Observatory Program and uploads data to Weather Underground. It also creates its own weather page which is updated every 5 minutes. We swapped out the station yesterday (our 3rd one) because the humidity sensor in the old one was starting to fail (as can be seen in the data starting on July 14, 2013). We are currently preparing a white paper discussing EPA and Guam EPA’s Underground Injection Control (UIC) Program, as it pertains to stormwater management on island. If you would like to participate, or get a copy of our final product, please contact Lauren Ahillen (lauren@pcrguam.com) of our office.